Anyone here is a fan of Xenforo or IPB or vBulletin, please share your thoughts or any comparisons on these forum softwares. Out of those three, vBulletin is my favorite. I love everything about it except the price. :P XenForo I despise and would never use. XenForo's design is just terrible, imo. There's a huge lack of a moderator control panel, and the ACP (last time I used one) was a mess. I found a good niche to start but the problem now is on choosing a good CMS to start a new site. I too would choose either vBulletin or IPB. XenForo lacks mods/add-ons and a well driven community. The best part about IPB is that you can find some really awesome skins. I think that vBulletin may be the better choice because of the great mod/add-on choices and the skins you can get. Along with the fact that some of the best internet forums run on vBulletin. There are some XF forums that look nice, but the overall layout is just a mess. For me, XF is intended be a very basic forum host with nothing more. Xenforo can be adapted to any web design that adesigner can do. 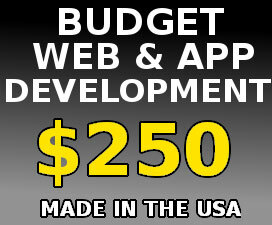 There's many devs who can also design and/or cut/code any design to meet your needs. Don't forget that the default style of Xenforo is also responsive, which is a huge deal now in terms of Google search results as they want sites to be mobile friendly. Just about every new style released for XF is being released as responsive to support the SE changes and mobile movement. Xenforo's core product is extremely solid. The addon list is extensive. The Xenforo admin is also 900% times better to navigate than that of VB. I have to ask, do you actually own a Xenforo or VB license? Or are you just basing your opinion on a few sites you've seen which may or may not have had a nice design? Your opinion seems to be strictly visible and I don't think you can offer good advice if you haven't owned a license and built sites with it. I've worked with VB and Xenforo and can tell you that Xenforo's core product and current community is by far superior and VB is on the way out the door. And like I mentioned, I have not ever worked with IPB, so I don't know how IPB and Xenforo match up. Last edited by ulterios; 02-14-2017 at 05:38 AM. I saw some one said that xenforo consumed more resource of their web hosting and it needs specific hosting to run well it, is it right? XenForo lacks mods/add-ons and a well driven community. Uh....are you just saying that because this site is on VB? Xenforo has a HUGE list of mods/add-ons. There's literally an addon for just about anything you want to do. On top of that, the community is big and there's multiple smaller communities that focus on Xenforo as well. Xenforo's admin is also very well organized and easy to navigate. I think the people here are just posting negative about Xenforo because this forum is on VB. Yeah, this forum looks nice. It's one of the few VB sites that actually came out pretty good. But I don't think people who don't own a xenforo license should go around stating things that are not true. It's a great product with an active community and TONS of addons. 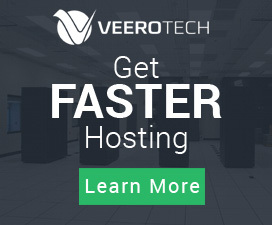 You can set up a Xenforo site on just about any host. I've set them up for people on cheap $3 shared hosts and they worked perfectly. One of the things Xenforo does best is make sure it works. Because you are mentioning to this forum (Webmaster Sun) thus I have any shares, hope it helps someone here. but some add-ons that I need it didn't have on Xen, I asked Xen support and they said that that add-on will use more resource of server hence they didn't write it, but on vB I can use this add-on. Sorry, I don't want to show name of that add on. Right, but for new users, Xen needs a little time to learn how to manage, while vB ACP is easier to learn and start managing. I think it's not exact, the people can give their personal opinion, depend on their views. I tried to design Xen themes and have made some unique themes with Xenforo since 2 years ago, they were also good themes as Webmaster Sun using. I suppose that each new user should have a check on each forum CMS before deciding which go with, it depends on their requirements, for using purposes, not for a trend. Each CMS has its advantages and it is difficult to decide which is the best! If you're a new user of any script, then you'll need a day to know where everything is. Once you know it, you're good to go. I've always found that Xenforo had the more organized admin and it even looks good. I don't mind using VB as a forum member, but I certainly don't miss using it as an admin or moderator. I used it for ten years and I'm glad to be done with it! I asked Xen support and they said that that add-on will use more resource of server hence they didn't write it, but on vB I can use this add-on. That's one huge issue with XF. No mod you want, there's a good chance it can't be made. While it is true I've never owned an XF or VB forum, I have administrated on them before, and I agree. VB MCP and ACP are very easy. The best answer I found here, I will have a test before deciding to buy one. And just so you know, the guy who said you can't get things made is incorrect. There's addons available for just about everything. Not to mention custom development can be done to any forum software that you use. Personally I would go with BurningBoard. The original development team from vBulletin that left before v4 are actively developing XenForo; which explains the huge attempted legal battle on behalf of vBulletin. In the end however, I do not think it's a battle between xenforo & vbulletin, instead a battle between XenForo & BurningBoard. It is true that just about any add-on can be developed for just about any platform. However it is also true that some platforms consume more resources then others. There is always a trade off. Fancy UI, tons of features, and blazing fast speed comes at a price! The fact that something can run on a $3 shared account is moot as there are also a ton of variations there. Some $3 accounts are on old machines that are horribly oversold. Some hosts have $3 account on underused SSD servers. No difference to the average users, but makes a Huge difference when running a resource intensive site! I recommend XF. It's fast & responsive, has lots of mods (and good ones at that), and great support + an active community. I have a XF forum and I love it. The customisation available and the documentation to help you customise it is just amazing. It gives you guides to do so much to add to the experience of using your board. A big thing when making a forum is making it unique. People will come to your forum if it offers something they can't find anywhere else. They make it very easy to do this, so I would highly recommend it for this reason. Definitely IPB 3 is the best. IPB4 has recently been released as well but it is too early to give a verdict. I actually like the design and feature set of Vbulletin 4 but it is a bit dated and I am unsure of Vbulletin5 to be honest...especially at that extremely high price they are charging. If they had a more active developer group, i'd consider Vbulletin. Burning Board is pretty great but I hate the premium themes. Xenforo is alright. I just dislike the design for the most part. There is little to no individuality in Xenforo sites and they just seem to lack inspiration in most of the premium theme. I find it overpriced not only in the software featureset but the price of mods within the community as well. I am having 2 Xenforo licenses but for their Mods, almost Adds are paid Mods it didn't like as vBulletin are offering more free Mods. So my advice for Xenforo addons is you need to have a good budget to use good forum CMS. Vbulletin and IPB are still good for someone wants to develop a standard forum, easy to customize or using free Addons. In my point of view, vBulletin 4 is the best in all their versions but it has an limitation, it's none responsive while IPB can handle well this. It has no more differences between Burning Board and IPB but I saw more people using IPB more while Burning Board is a new forum CMS. More big websites are using vB so that why don't we give it a try? Xenforo team originally was from vBulletin team hence they inherited more good features from vBulletin and having new features like with a notification system like Facebook. There developers are normal and the engine itself is also very good. I currently use mybb and have been wanting to upgrade to another forum software in the future. But I just can't decide myself on xenforo or VBulletin. I much prefer sites using V Bulletin. I would've went with VBulletin from the start for my forum but I just didn't have the money at the time. At this time I have no idea which one is the best between vBulletin or Xenforo or other forum CMS. All depend on you, you need to test it to see which one is suitable to use for develop a forum because each one has its advantages. For me, I used both Xenforo and vBulletin for our forums and they are running well. You can change its templates according to your ideas. It is not too hard to learn design a vB or Xenforo theme. I have used both of these and I can tell you that each one has it's good points. I like the spam features of XenForo better than on vBulletin. However I like the ability to look at threads from a member's profile and do inline mod'ing in vBulletin better. Both of these scripts have lots of things available for them to change things so there are a lot of changes that can be made. I do like the support community over the vB support MUCH better. That's true but there are a lot of dated vB things out there and vB is going downhill due to lots of changes over the last several years. I was like that myself at first, mainly because I had been on a countless amount of forums and the majority were vB based. Once you get used to XF, it will change some of your thinking. Plus, you can always change the way things look, easily. When your year is up then you don't have to renew your license to keep using it. PLUS, whenever they have some kind of major update to the software and you want it, you can just renew you license for their current renewal rate ($40/yr) without having to repurchase a license. Even if it's been years since your license expired, you still just have to pay the renewal rate. vB is a completely different and more expensive story. I am EXTREMELY analytical in nature and did a lot of research on the two last year and a few months back. Based on a countless amount of hours of research, if I was going to build a new forum these day and wanted a good paid script, i'd use XF. Correct, totally agree! All explanation are cleared by @ulterios. I've used IPB, VBB, MyBB, XF and some kinds of forum. However currently I'm using XF to my main forum and I think it's a must.